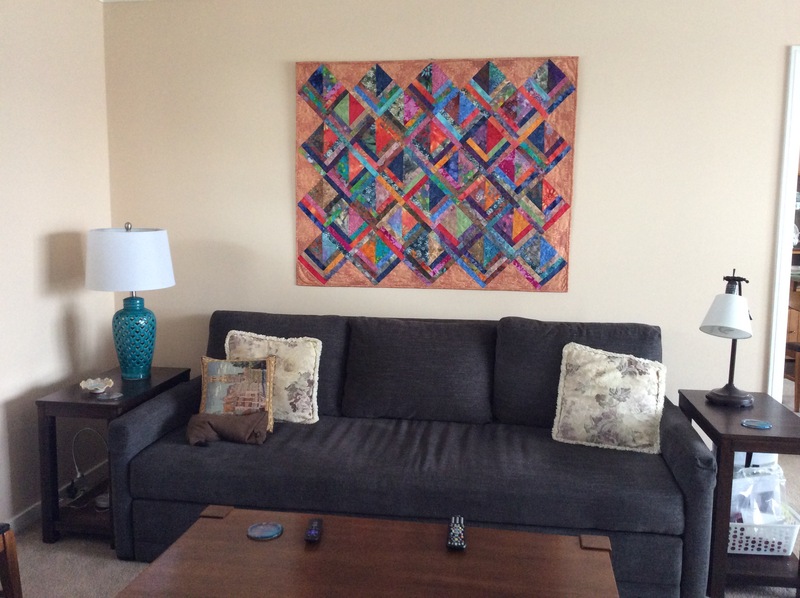 Tropical Triangles is finished and hanging in my living room. UFO #3 for this year. Grand Illusion binding completed. 2016 UFO #1. 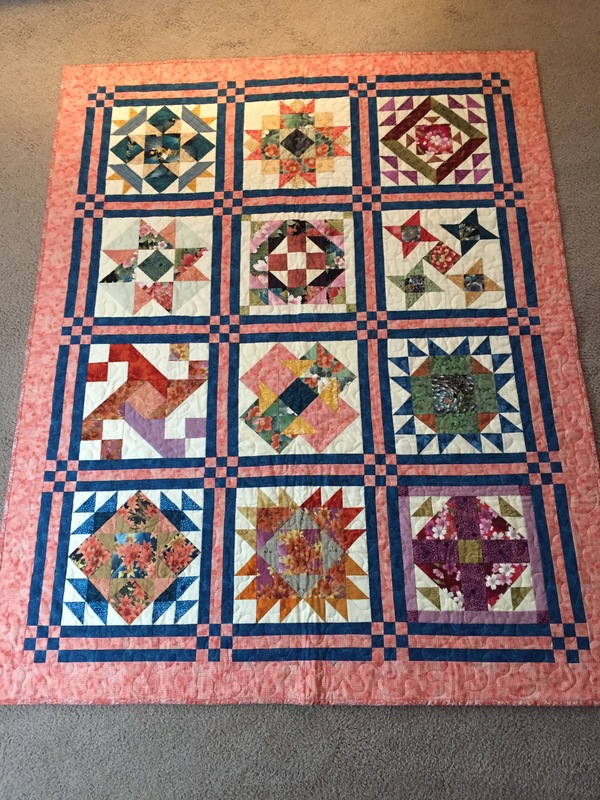 My Asian Saturday Sampler quilt is finally finished. Started in 2007. UFO #2 for 2016. 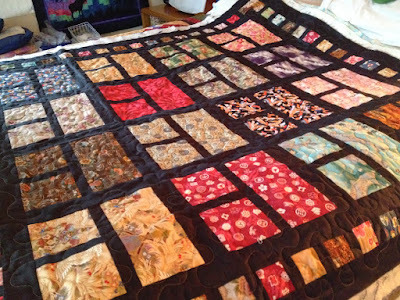 The Breath of Avignon quilt is finished. I’ll deliver it to its recipient tomorrow. These blocks were left overs from a Sassy Sixteen made a few years ago. Perfect size for a baby quilt. If I don’t write a post soon, it will be March. In the past couple weeks I actually have moved a couple of quilting projects forward in between all my knitting adventures. This is probably one of my oldest UFOs. I call it Asian Splendor and I finished the top in 2007. It’s made up of a bunch of Asian F8ths I received in a swap. It’s quilted now and yesterday, my dgd picked out the binding fabric for it. 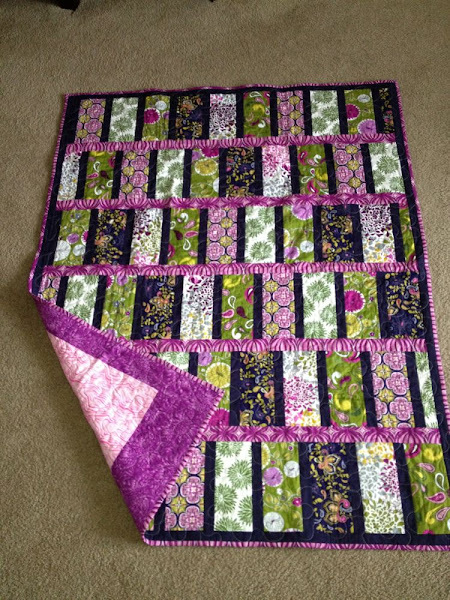 This little pastel quilt is made from the left overs from a larger Sassy Sixteen quilt I made a few years back. It’s quilted now too and has binding chosen. On the long weekend in January, my friend and I went up to Sea Ranch (Northern California) for a mini-retreat and I finished this top made from Breath of Avignon. Have to find a backing fabric for it to keep this one moving. I’m getting ready to head out for Indianapolis on March 1 for our annual Danville, IL retreat at Threads of Time. My plan is to keep moving on Celtic Solstice. 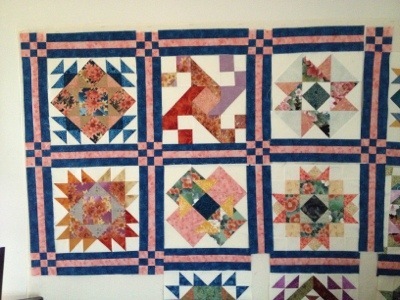 But Jennifer threw out a new challenge and some of us will be making Missouri Star’s Disapperaring Pinwheel Quilt with layer cakes from stash. I’ve got my fabrics chosen but not yet cut. Need to get busy!! Headed out to my Monday KAL group now! I am woefully behind on my blog posting. But that doesn’t mean nothing has been going on. I’m also behind on reporting my UFO finishes. Let me just catch up the past few months. October was number 7. That’s my Asian Sampler quilt. 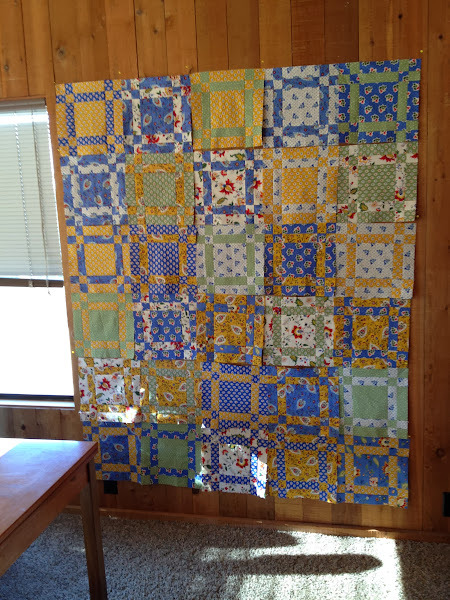 While I didn’t complete the quilt, the real challenge for me was to get these 12 blocks into a top. And, that is complete! November was number 3. For me it was Sloane’s Happy Quilt. This is my granddaughter’s Christmas present. One of them anyway. Finished earlier this year. December was an easy one. 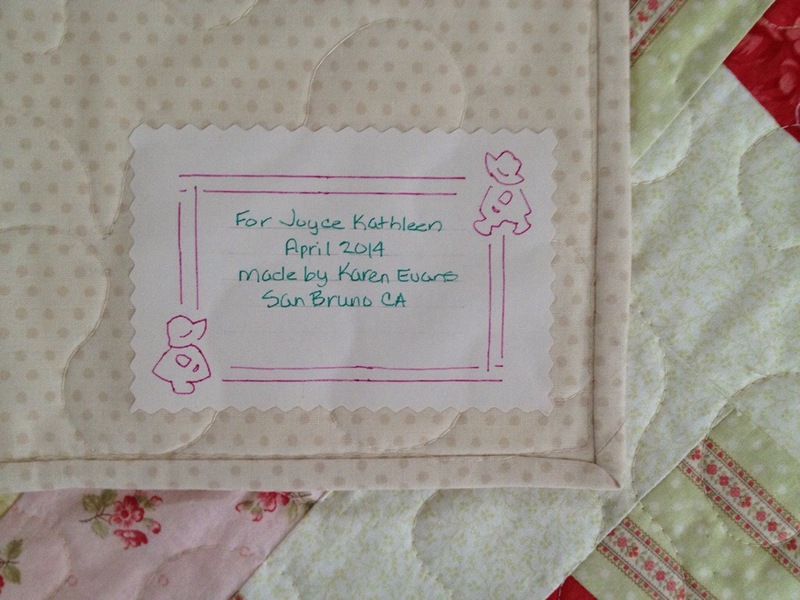 Number 10 is a preemie quilt that I finished to use up some pastel fabrics that weren’t playing well with my stash. Finished. And, I’ve finished my bonus, number 13. My 2012 Keyhole quilt. 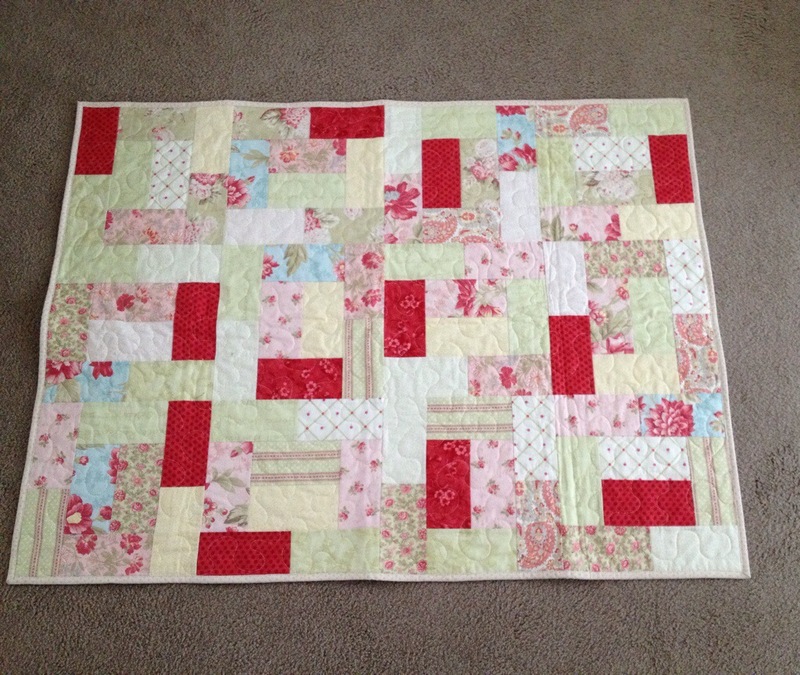 Finished in August and given to my niece who is undergoing chemotherapy for breast cancer. This was a very good year for finishes for me. Also, a good year for donations. 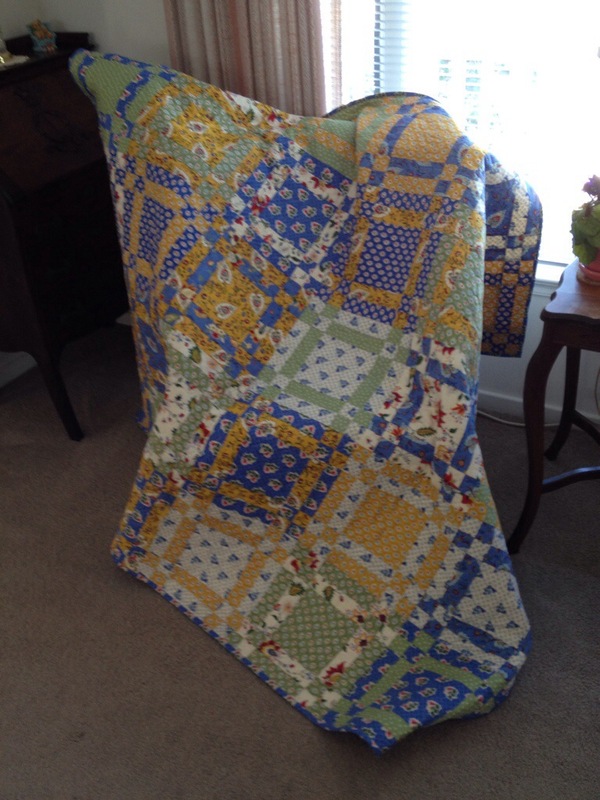 I’ve donated 20 pillowcases, 5 quilt tops, and 6 finished quilts to charity. It feels good to get these out of my house and doing some good locally and across the country. Check out Marti’s posts at 52quilts.com for more finishes. 1. Finish my Swirl jacket (Knitting). Done and donated to One Warm Coat. This one just didn’t feel right on me so I gave it to someone who will get much more use and warmth out of it. Here’s my granddaughter modeling it. 2. Make Alaska Wall Hanging at Ships. Finished the top at Ships, which was my goal. 3. Make Crossroads top at Ships. Finished this top at Ships, which was the goal. Mine is one the left. Muffet’s is on the right. 4. Quilt my Asian Sampler top. October’s UFO. This one didn’t happen. Too busy with my new knitting project. For December, my goals will have to be simple. 1. Finish my Water and Stone sweater. 2. Finish the two pair of fingerless gloves for Christmas gifts. 3. Start and finish the Mielie Vest which my KAL group is starting on 12/4. 4. Finish and donate the 20 pillowcases I have started and donate them to SF Quiltworks. This used up 22 yards of stash fabric. Yay! 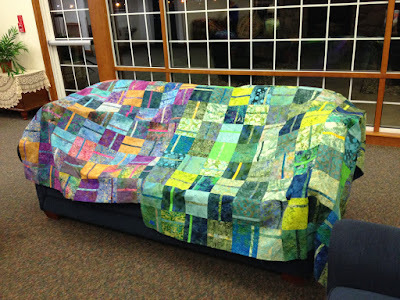 I will also be keeping up with the latest Quiltville Mystery each week. Linking to Judy’s Getting It Done post. On my wall today is my Asian Saturday Sampler UFO. 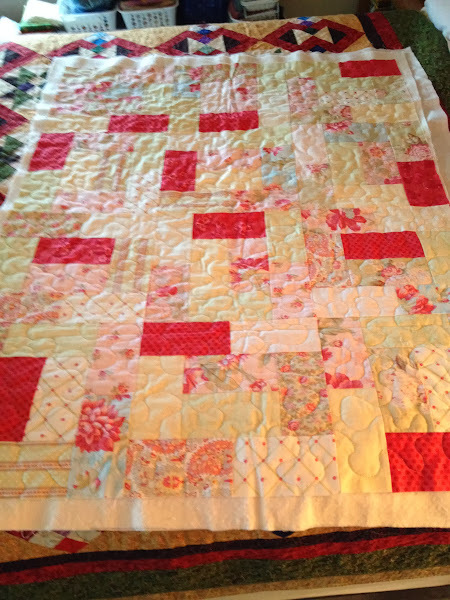 I decided on this sashing to set the 12 blocks. See what others have on their Design Walls today here. 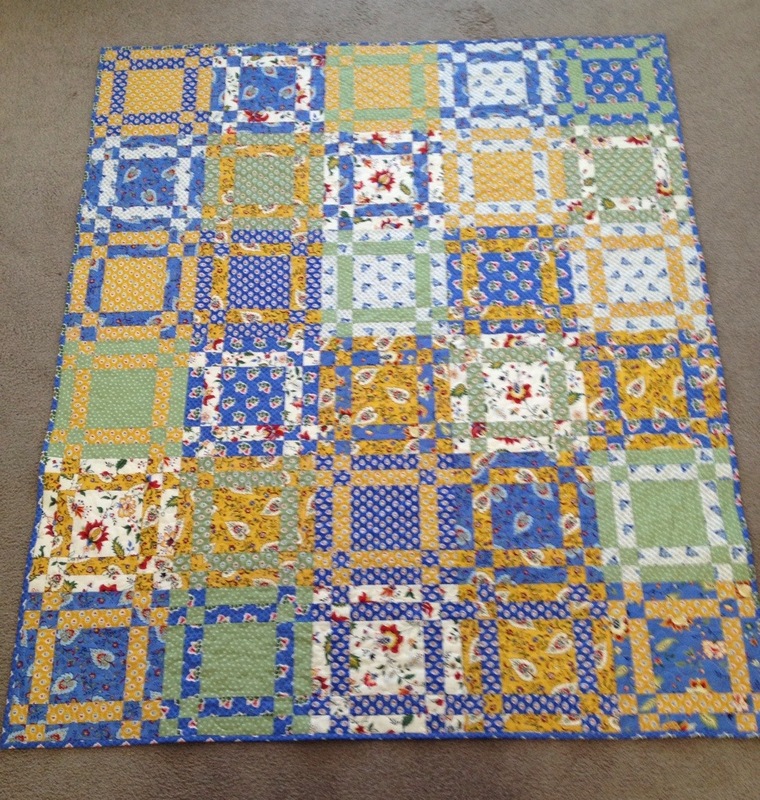 Double Delight is my May UFO for Aunt Marti’s UFO Challenge and it is finished. The pattern was the 2009 Mystery Quilt from Bonnie Hunter. So I started this is January of 2009 and finished it in February 2013. This is the largest quilt I’ve finished to date at 76” x 87”. 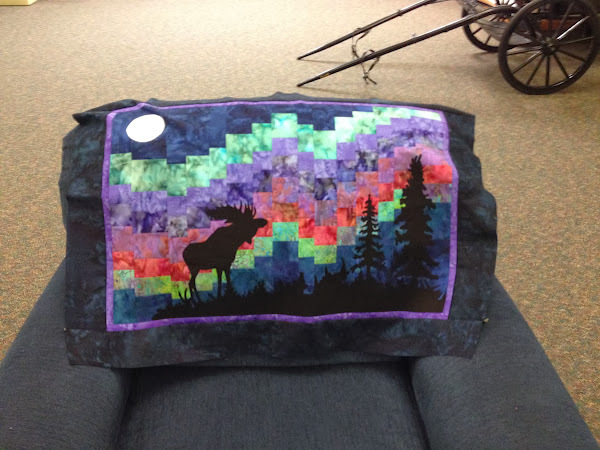 And, I quilted it myself on my Sapphire 850 in an all over large meander. 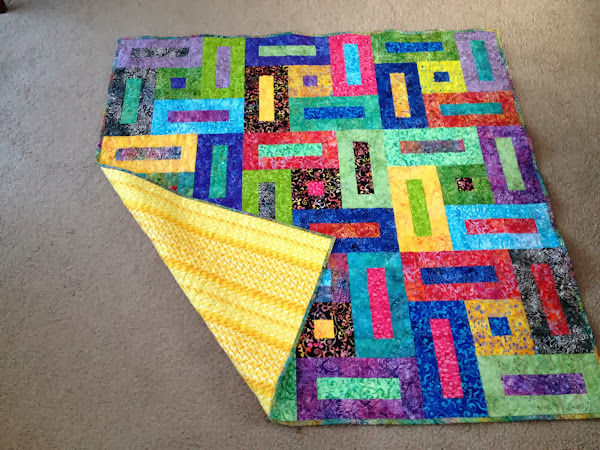 It got me over the fear of making larger quilts, that’s for sure. All the fabric came from stash. 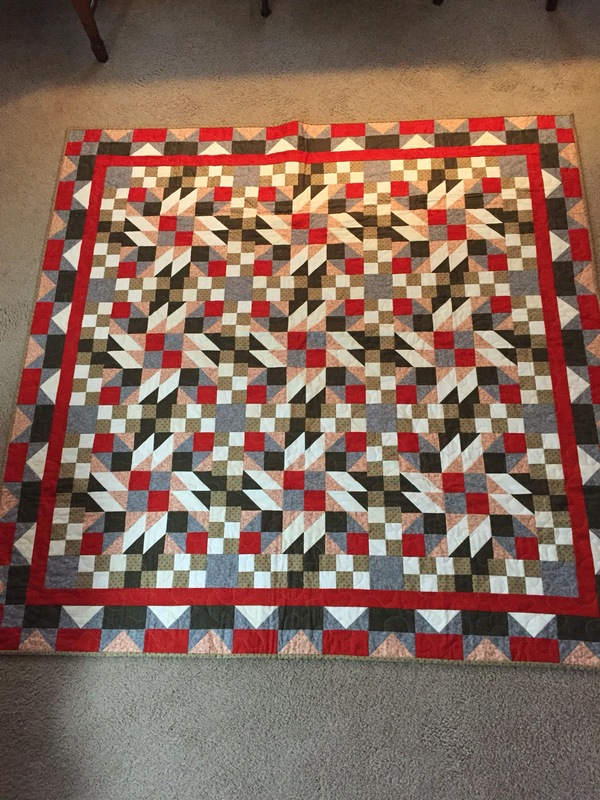 Nothing purchased for this quilt. The border is actually two different blues because I ran out. But that adds to the scrapiness. The back is a wild pink print with large scraps of blue on each side. More stash used. Batting is Warm and Natural. Check here for progress posts.